I am the Executive Director of Ballet Austin. I was raised all over the US as my father was in the Air Force and a U-2 pilot. I called 17 cities home before moving to Austin in 1987. 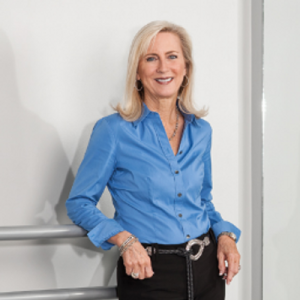 Since joining the team at Ballet Austin in 1996, the organization has grown from $1.2M to $8.4M annual operating budget and is now the 11th largest ballet company in the US. Ballet Austin owns its 40,000 square foot building next door to Austin Music Hall and next door to the new Google building (under construction). We are debt free and we have an endowment. Ballet Austin funds over $300,000 annually in scholarships and has educational programs reaching over 57,000 Central Texans. Ballet Austin is best known outside Austin for its human rights work by Stephen Mills, Light / The Holocaust & Humanity Project, which toured across Israel in 2013 and will tour Canada in 2017. What are some interests of yours not related to your work or HousingWorks?I’ve spent the last 20 years seeking the most effective ways to provide access to post-secondary education for young Latinas. In 1990, I conducted research to identify a viable model project to support this effort that has become the nonprofit “Con Mi Madre.” The programming starts with girls (and their mothers) in the 5th grade and stays with them through college or other training programs. 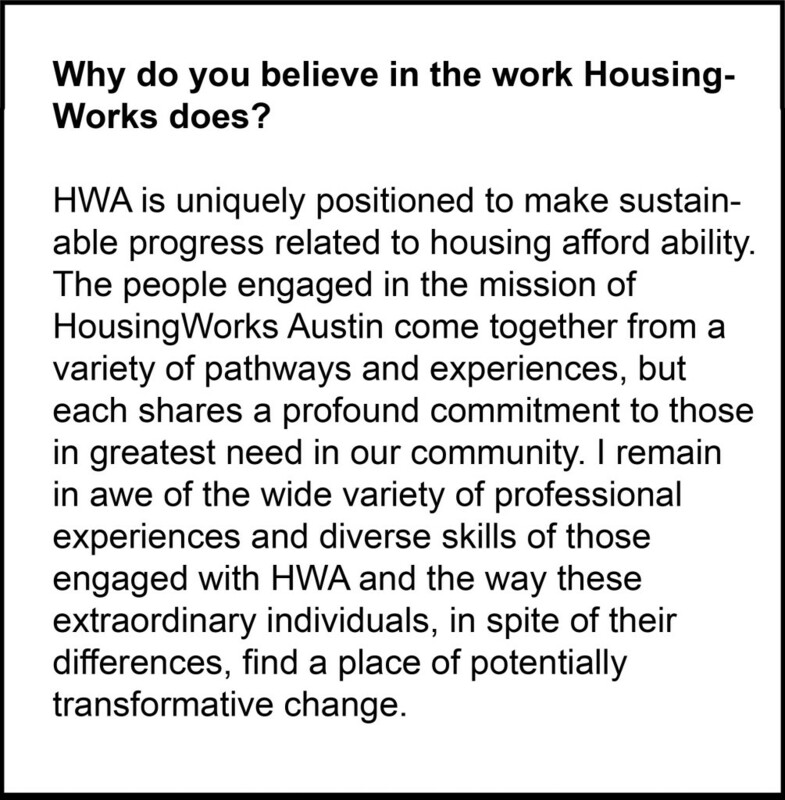 The majority of my direct service volunteer time for the past eight years has been dedicated to city planning efforts, as chair of CreateAustin and a Council appointee to ImagineAustin (the City’s 30-year strategic planning process). I also work with a great volunteer team as vice president of Texans for the Arts, teaching arts advocacy across our state. 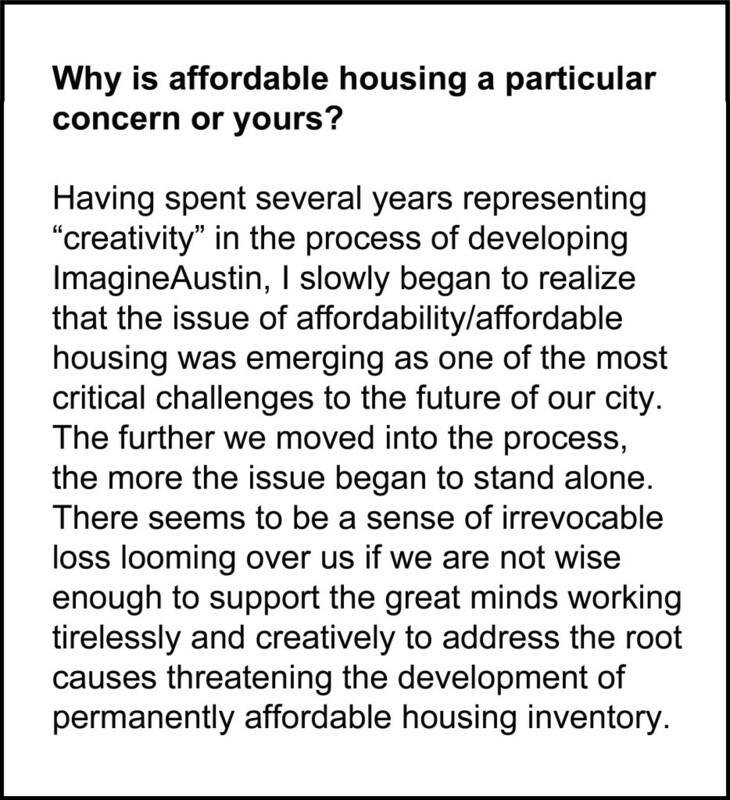 The issues of affordability and gentrification also threaten the existence of our creative community, therefore much of my advocacy work is devoted to developing potential ways to address or slow these stress factors.